Welcome to the suspected spinal injury update blog. Changing 40+ years of practice will not be easy for everyone. This forum is intended to provide answers to your questions, maintain consistency in our message and best of all - provide some tools to help make this update as simple as possible. We will be adding toolkits for educators, a full production video demonstration, skills demonstration suggestions and presentations when needed. These first two files are the updated 2015 T-8 protocol and the SEMAC position on the practice update supporting these changes. You will still need to take the test from NYS EMS. Below are documents from from NYS EMS regarding FAQ's from their webinar. On the bottom pages you will find links for both the recorded webinar and taking the test. Dr. Joseph Bart is currently the Director of EMS Operations for UB|MD Emergency Medical Services Division. 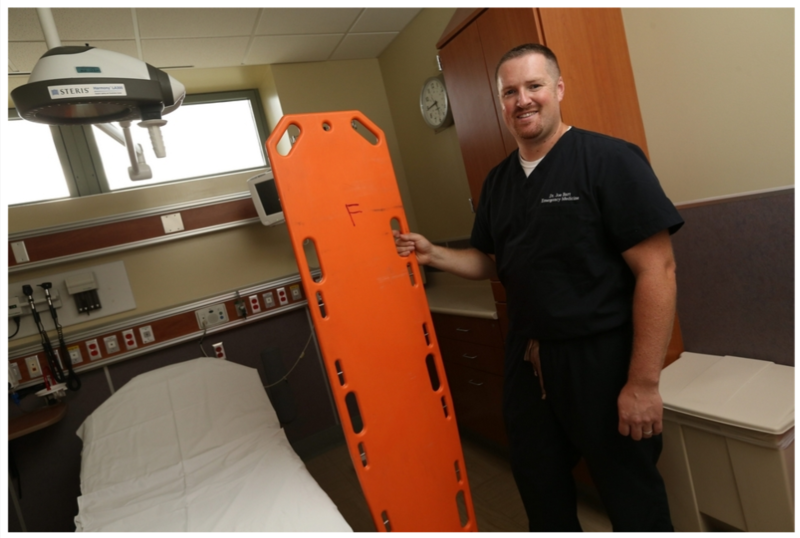 He is Board Certified Emergency Physician at the Erie County Medical Center in Buffalo, New York and former paramedic. Prior to completing work as an emergency physician, Dr. Bart attained Board Certification as an Athletic Trainer at Canisius College, earning a degree in Sports Medicine and Athletic Training. He earned a Doctorate in Osteopathic Medicine from the Lake Erie College of Osteopathic Medicine in Bradenton, Florida and returned to Buffalo as an Emergency Medicine Resident. Immediately following residency, Dr. Bart drew from his experience as a paramedic and emergency physician, completing an EMS Fellowship through the SUNY at Buffalo Department of Emergency Medicine and is currently the associate EMS Fellowship director.